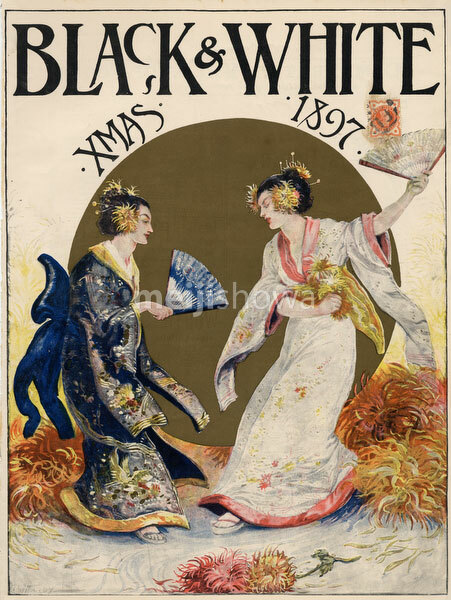 Cover of the Christmas number of the British weekly illustrated newspaper Black & White published on November 15, 1897 (Meiji 30). It shows two Western women in kimono dancing with fans amid chrysanthemums. In the back is a golden sun. There is a stamp on the right of 1897.